Good morning, you fluffy little interweb puppies! Welcome back to the community newsletter. This week we’ll be taking a brief dive into Update 34 (Pets, Midnight Grove, Jhebbal Sag), commenting on mod compatibility, talking about our newest DLC (The Savage Frontier), and discuss what’s going to happen in our next livestream. As you may have noticed, we’ve released the 34th update to Conan Exiles. This completely free update rolled out the Pets system, the Midnight Grove dungeon, the Jhebbal Sag religion, off-hand weapon combos and the new specialist arrows. We’ve written extensively about what you can find in this update, but if you haven’t been keeping up with our newsletters you can click on this link to learn more. The first chunk of content (new dungeon, religion, off-hand weapons combos and new arrows) were rolled out last week, with pet rearing activated yesterday. After the first rollout we had a couple of bugs and crashes to fix, which were then included when the pets system was activated fully. Thank you to our great community for reporting these issues to us. At the time of this writing the full update is available on PC, with rollout on consoles planned for later this week. We’re on sale this week in Steam’s Midweek Madness promotion. Right now, you can get Conan Exiles on PC for 50% off. With the recently released free Pets Update there’s never been a better time to jump into the game. Maybe buy a copy for a friend so you can play together? One of the things that came up after Update 34 was the question of mod compatibility. Depending on the nature of code changes done in our patches, players and server admins who use mods may experience compatibility issues when trying to play the game immediately after a new patch. These can be anything from not getting access to their chosen server to placeables disappearing and the game crashing on start-up. To fix these compatibility issues we have to release a new dev kit so the mod creators can update their mods. We try to have a new dev kit ready as quickly as we can after rolling out a patch and we are usually able to release it no later than 24 hours after the patch came out. With the latest patch we were able to have a dev kit ready when the patch was fresh, causing little downtime for modded servers and players. Since we cannot always guarantee that existing mods will be compatible with a new version of the game, we are recommending that you disable mods when you encounter an issue right after a patch has gone out. That way you can confirm that an issue is caused by an incompatible mod or if it’s a bug that we have to patch. We know that there is currently a problem with building pieces disappearing from player structures in online play. At the moment, we’re working on creating reproduction cases, but it’s been difficult. This is why we’ve been updating the in-game Event Log. It will assist both us and the community with more information on what happens in a server. We can more easily dig information out of the server database and you, the players, will have access to more information in-game as well. This will help us build a repro case for the disappearing building pieces. In addition to the Pets Update we also rolled out our next paid DLC: The Savage Frontier Pack. 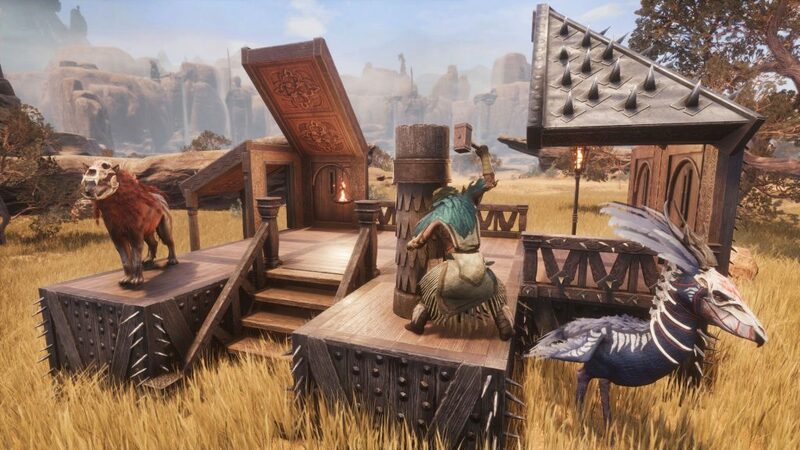 It comes with all new content inspired by the savage boundaries of civilization, where the ferocious and ruthless Pictish raiders use brutal beasts to do their bidding. At the time of this writing it is available on PC, with a rollout on Xbox and PS4 planned for next week. We’ve done a few out of the ordinary things with this DLC pack. In Robert E. Howard’s original Conan stories, the Picts are a conflation of the historical Picts and the indigenous peoples of the Americas. The Pictish Wilderness is the last remnant of the great uncivilized West that remains after the Hyborian invasion. Picts are a primitive, tribal culture living in leather tents and thatched huts. Not really the type to build huge stone fortresses. As such, we decided to make building pieces inspired by Aquilonia’s frontier, where inhabitants build to repel the savage raiders. Since they’re a practical race they also don’t make a lot of decorations beyond warpaint and the odd shrunken head, which is why we didn’t include the usual set of placeables. Instead we had our creature designer whip up some cool looking pet skins, so you have a unique looking pet at your side. 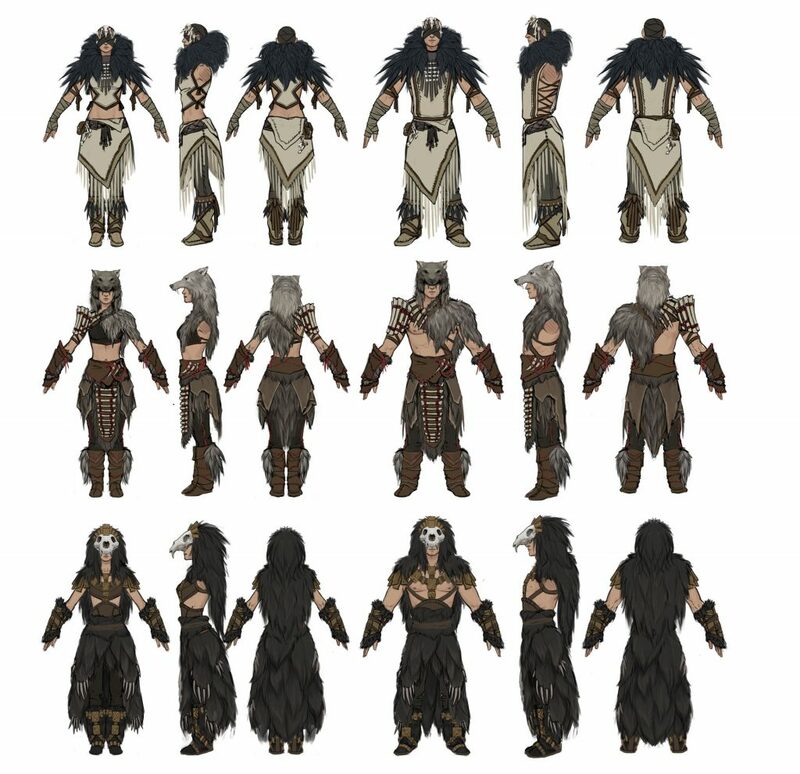 For the outfits the art team incorporated a lot of fur, bone and feathers into the look and feel of the clothes. These Picts clothe themselves in the animals they slay. 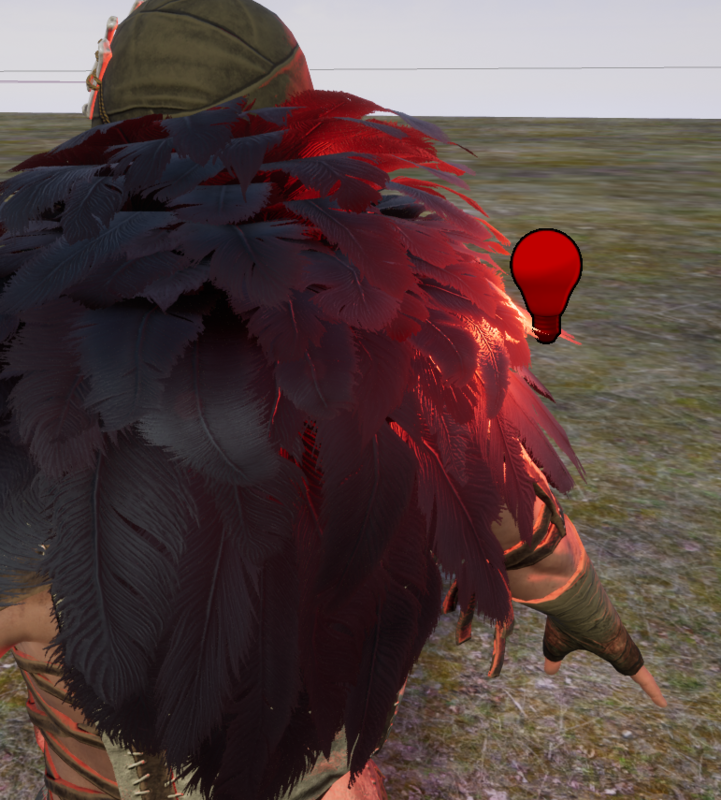 In making these clothes the art team significantly improved how they make and render fur and feather textures, letting them catch and reflect light in a more realistic manner. It is stream week once again so come Friday you can catch us on our Twitch and Mixer channels for another developer stream. This week we’ll once again be exploring the Midnight Grove, but from a different perspective than before. Senior Designer Alexander will be joining us to discuss the design of the dungeon, its monsters and how we approach dungeon design as a whole. So, join us: Friday afternoon at 5pm CEST (11am EDT, 8am PDT) for our deep dive into dungeon design.